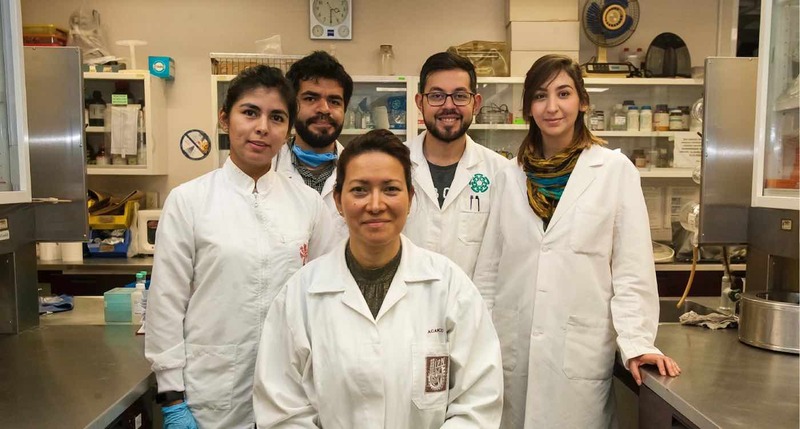 After 20 years of research, a team of scientists from Mexico has succeeded in curing 29 patients of HPV. Human papillomavirus is a sexually-transmitted disease that is one of the main causes of cervical cancer in women. Though it is the most common STD, there has been no cure for the infection – until now. Scientists from the Mexico Polytechnic Institute (IPN) developed the treatment using a non-invasive procedure called photodynamic therapy. In addition to treating the virus, the researchers used the procedure to treat premalignant cancer tumors during the early stages of cervical cancer. The lead researcher behind the treatment, Eva Ramón Gallegos, has spent two decades researching various applications of photodynamic therapy in order to find the most effective combination of chemicals to treat HPV and cervical cancer.
] After several hours, the drug makes its way into the nucleus of nearby cancer cells and shines with a bright fluorescent glow that scientists can track its progress. Once the drug is activated, researchers can activate the drug with a special laser beam that causes the chemical to destroy the cancer cells. During the second phase of the trial, they changed the frequency and dosage of the treatment on 29 women from Mexico City. The alternative application ended up curing 100% of the patients with HPV and no lesions; 64.3% of the women with HPV and lesions; and 57.2% of women with lesions but no HPV. IPN published a press release on the research [Previous] Photochemistry and Photobiology back in April 2017. Although the researchers did not detail how they used the treatment. attack the HPV strain, Chinese and Italian researchers have shared success with HPV photodynamic therapy to treat HPV.